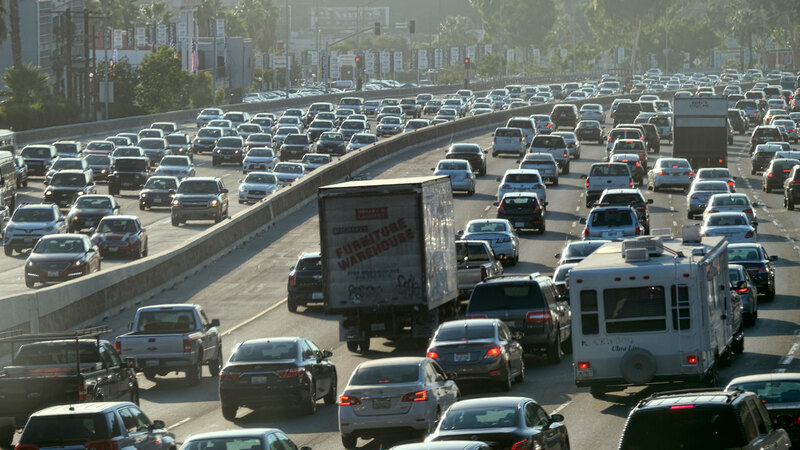 LOS ANGELES -- All those cars on California's famously gridlocked highways could be doing more than just using energy - they could be producing it. "It's not hard to see the opportunity in California," said Mike Gravely, the commission's deputy division chief of energy research and development. "It's an energy that's created but is just currently lost in vibration." Scientists say it's a matter of shifting perceptions. "No longer is driving just the act of using energy. Maybe it's also part of the process of generating it," said Paul Bunje, a scientist at a Los Angeles-based nonprofit that funds technological developments and the former founding director of UCLA's Center for Climate Change Solutions. The hope is that the use of clean energy produced by roads will help the state reach its goal of producing 50 percent of California's electricity with renewables by 2030, Gravely said. "One would need to consider which would last longer: the pavement or the devices," he said, adding highways need to be resurfaced every 10 to 30 years. California's funding to study the technology follows a series of projects in Tokyo, Italy and Israel that appear to have failed or been dropped. He told The Associated Press that he didn't know the project apparently failed. "Hearing these details for the first time -obviously, they're not heartening," Gatto said. "I don't want anything to be colored by one tiny experiment by one company in a different country." "It's probably that there are cost issues that might have been present in Israel that might not be present here," he said. Innowattech data also featured heavily in the commission's feasibility study, published by an energy consulting company in 2014. The study gathered and compared the data available from projects experimenting with the technology at the time. But the commission's Gravely said conclusions were drawn from a range of sources, assuring him the results are reliable. He added he has spoken to several manufacturers within the United States who are eager to explore it. Bunje noted it's not uncommon for a technology's early adopters to fail. "Innovation comes with risk," he said. "There is a general rule that you don't know what is going to work." Regardless of the risks, it's worth trying new things, he said.